Blind Hockey clinic at Warrior Ice Arena. “It started with a handful, six or seven,” says McCummings, who grew up in Jamaica Plain. Now, in sled hockey, they’re up to 14 at the adult level, with an eye toward more across five disciplines. Thanks to McCummings & Co., there is an Adaptive Hockey Committee in the state of Massachusetts. About seven or eight years ago, as McCummings remembers it from a time he was president of Parkway Youth Hockey in West Roxbury, he received a call inquiring about some icetime for veterans to play sled hockey. Location, location, location. Parkway’s rink happens to be across the street from a VA Hospital. McCummings grabbed a couple of friends and his son, and a few of his son’s friends, and they started playing sled hockey on Saturday nights. That would lead to an adaptive exhibition at Harvard Stadium. Feeling as if it was the best way to help grow this part of the game, McCummings would eventually trade his stand-up youth hockey work for adaptive hockey. To see adaptive hockey in any of its forms – sled, blind, special, stand-up amputee, deaf – is to appreciate it. And in theory it’s an easy endeavor to support. 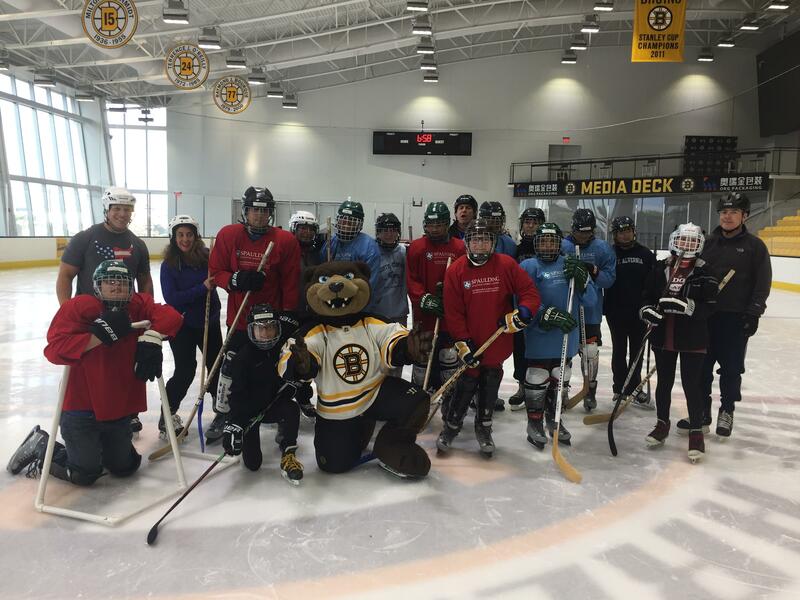 The hard part may simply be getting the word out that adaptive hockey is an option in the state of Massachusetts. McCummings even reminds his players the role they play in spreading the word. Ice time, as in stand-up hockey, is also a challenge – along with, in the case of blind hockey, which needs a one-to-one ratio of volunteer to player, is the volume of volunteers. Having played hockey is not a requirement to play sled hockey. McCummings remains committed to growth. McCummings hopes to have an adult and a youth blind hockey team in Massachusetts by 2019. McCummings has made a habit of driving down to Connecticut to be on the ice with a group of blind players on Sunday. Ninety minutes there and back for 90 minutes on the ice.